Sitting outside Madras College, Blackfriars Chapel is all that remains of a once large monastery on the site. The Blackfriars were established in St Andrews by Bishop William Wishart and were known for their white robes with black crosses and a fanatical desire to root out “heresy”. HDR at night from the rear of the monument. As always, hit up the picture to go to Flickr and view it large. 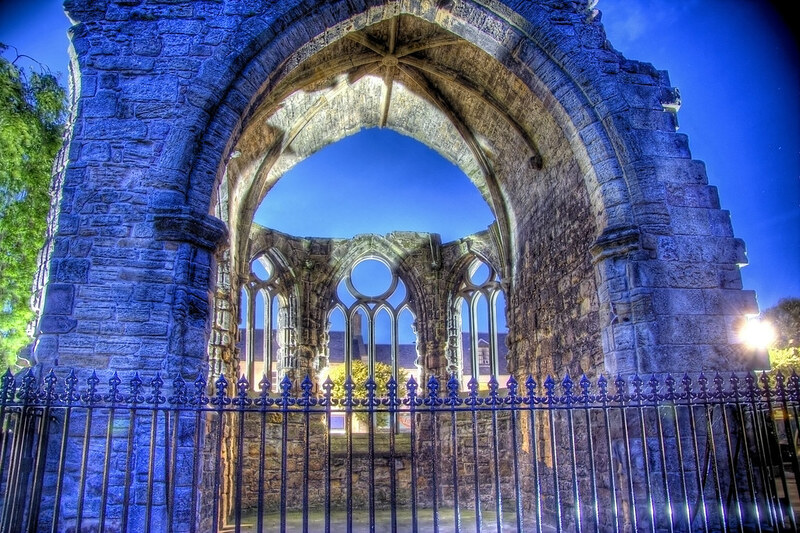 This entry was posted in Ruins, Scotland, St Andrews and tagged blue, chapel, Church, dark, fife, hdr, Medieval, night, Scotland, scottish, St Andrews, town. Bookmark the permalink.